Someone finally gave Rolex watches a bodyguard. 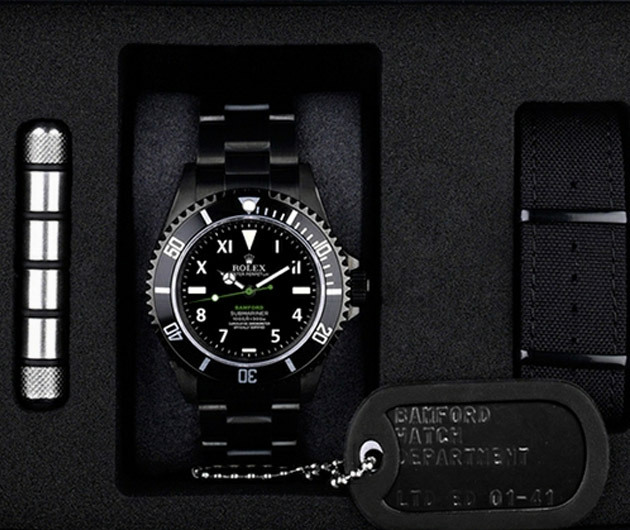 The Bamford Watch Department took the Rolex name and sealed it in a shockproof, waterproof container to create the Rolex SE Submariner California. The Rolex SE Submariner California is the elite style of a Rolex in an elegant but durable frame that can take precision timing to the depths of the ocean.